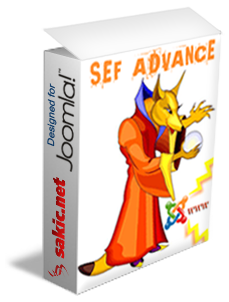 Search engine friendly URLs with SEF Advance turn your Joomla site to ultimate SEO contender. SEF Advance delivers feature rich URL capabilities while keeping the top performance. Unique and consistent URLs - no duplicate content. Reach your aim with the best SEF component! Increase number of registered users on your Joomla site by offering a user-friendly registration experience. Add unlimited custom fields to your registration form to gather more information from users. Extended user profiles with custom fields, live field validation, CAPTCHA options. Improve your site appearance with this Web 2.0 module for Joomla. 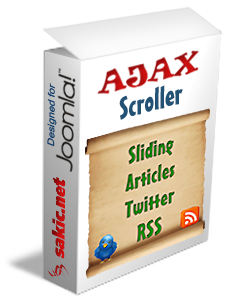 AJAX Scroller displays and scrolls dynamically loaded articles, banners, RSS feeds, Twitter updates, K2 items or Virtuemart products using appealing animation effects. Highly optimized, no limits. As leading Joomla experts we provide quality Joomla extensions, support and consulting. Check out our Joomla components, join the forum and read our Joomla blog. 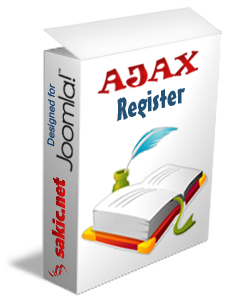 With the new version of AJAX Register you can allow users to register into multiple groups on your Joomla site. Upon registration, the user can now select multiple groups to be registered into and change the groups he belongs to afterwards. The admin can select which user groups are available for registration and they can be presented as checkboxes or multiple selection list. Joomla! 3.7 has been released bringing many features and improvements, including custom fields for articles and other content. Once again all our extensions are fully compatible with Joomla! 3.7. If you use our components and modules, you can freely upgrade to Joomla 3.7 and they will still work. Just make sure you upgrade directly to 3.7.1 as 3.7.0 contains a security vulnerability and you should avoid this version. AJAX Search is live search module for Joomla to filter and display top search results as you type. A click on the result takes you directly to the result page which makes it much quicker to search and find content on your site. It will search through all searchable content getting top results from the main search component with AJAX. It features parameter options for size, button, number of results and more. Check it out on this page, just start typing a search term in the search module above and see it in action. Unbelievable! Five minute install and it works pricelessly. I assumed I would have to modify some content or change things on the site around a little, but SEF Advance is amazing! Thank you for all your work and the great product.